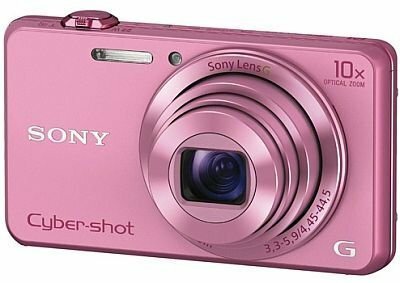 Sony Cybershot DSC-WX220 is a 10x optical zoom camera that easily fits in your pocket, which you can carry everywhere you go. It captures flawless amazing photos and records lively videos. 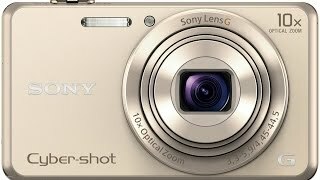 Its compact design packs an Exmor R® CMOS sensor to capture every moment beautifully. It is available in three colors like pink, gold and classic black – choose a color that best suits your personality. With its wide ISO 80–12,800 range, you can expect super performance in any situation. Even at night with low light conditions, this pocket-camera delivers pin-sharp results. Combining a powerful BIONZ X image processor, its Exmor R® CMOS sensor claims to deliver bright, sharp detail always. It’s By Pixel Super Resolution technology analyzes each pixel and upgrades images by restoring each and every detail at zoom. Its Auto Object framing trims the images automatically by analyzing the scene, thus enhances the quality of the images. The Intelligent Auto setting helps you to adjust the camera settings as per your shooting conditions. Lock-on autofocus provides clear and sharp picture quality by automatically adjusting the frame size. Its built-in 6.7 cm (2.7) LCD display offers you a lively viewing experience. With its MotionShot Video, capture the movements of the subject that are displayed in a sequence of superimposed images on a single background. With its built-in Wi-Fi® and NFC, share your photos on social media sites, and with your friends and family in seconds. Change settings, zoom in, and take a shot with its Smartphone remote app. Its built-in Picture Effect technology just makes your shots more vibrant and colorful. Its 360 Sweep Panorama brings together the entire scene in one frame, thus creates one panoramic image. Its Intelligent Sweep Panorama recognizes faces and movements and adjusts accordingly while taking snaps. You can also connect your camera to 4K Ultra HD TV to have a detailed and clear view of your images that you have taken. Its Triluminos™ color just makes your snaps vivid and lifelike.